She's even contemplated melatonin to help ensure we get good rest. It's important. 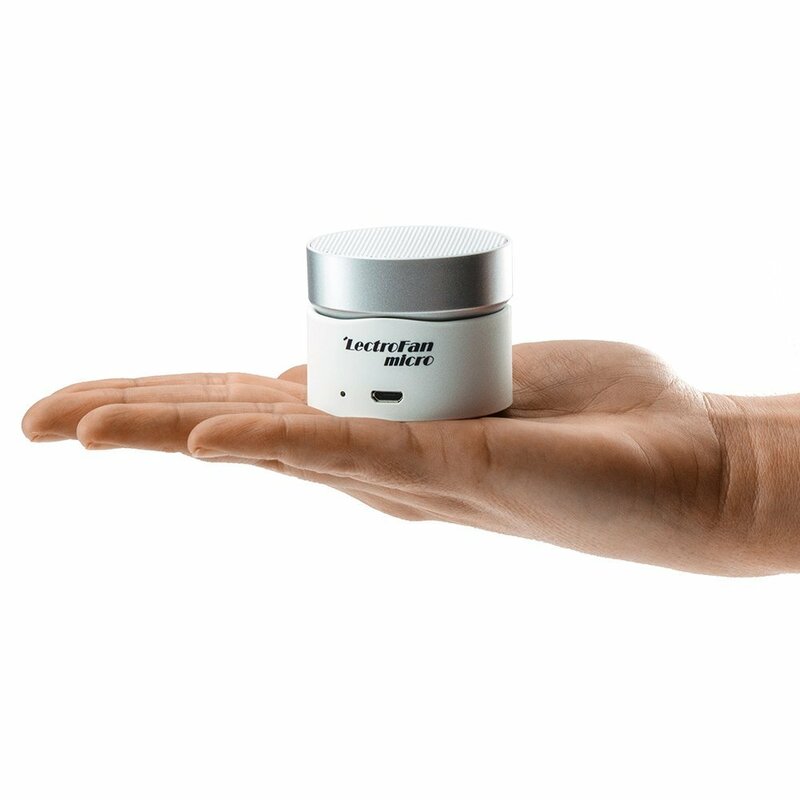 One way we can add to our routine is a new little device from LectroSound called the LectroFan micro. This little dude will act as a bluetooth speaker (you'll long press power to turn the BT portion on) and has controls as any other speaker should. However, as a music speaker... it's not so grand. That being said, power off the bluetooth and just hit play and it'll start playing some white noise. Hit the skip/prev buttons to cycle through 10 different sounds (5 'fan' sounds, 4 white noise and 1 'ocean'). Hold the skip/prev for the volume control. And you'll need to do that, as you'll find that the volume isn't quite consistent throughout all the sounds. Some are whisper quiet, others are actually quite loud. So adjust as y ou need. Personally, I adjust it to just about what I can hear, and then put it on the far end of my desk for work. I like it! The neat thing is that the head of the speaker 'swivels' (it's a little confusing at first to find the point on where it swings) so that you can 'point' the sound where you want. Straight up for a bit of a 360 field, or directly at you. Now, $40 is a little pricey for a white noise generator, but it's wireless (will last 16 hours of noise) and can double as a BT speaker (about 6 hours). So it's up to you to decide if it's worth it. But I like it.